More square footage meant more possibility—the new bedrooms are each their own private retreat. wrapped around a pecan tree, we gave the parents and the kids their own private areas. Now there’s room for everybody, even guests, in this spacious home that is still chock full of charm. It was important to the clients that any changes as seen from the front façade appear minimal, to preserve the cottage style of the home. The interiors, while fully updated, still keep the 1940’s character while incorporating some modern flair. The parents’ wing features a vaulted-ceiling bedroom and an amenity-full bathroom. 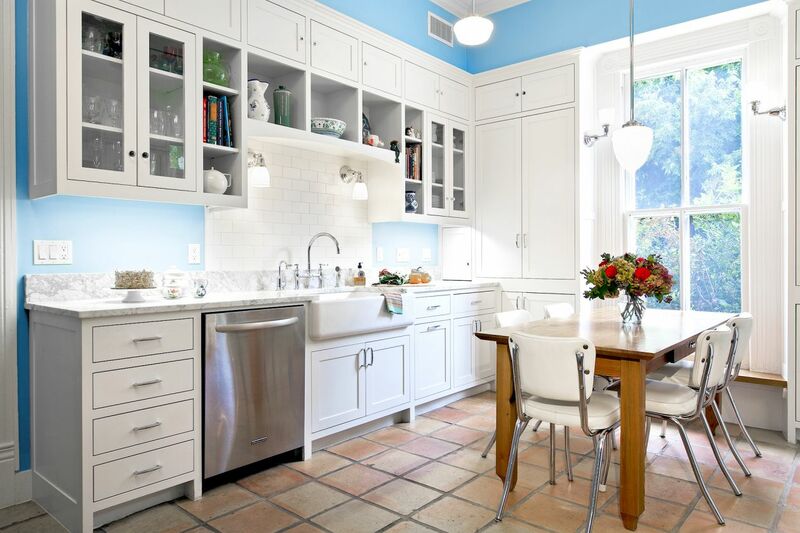 Details throughout give the space a serene, retreat feel. 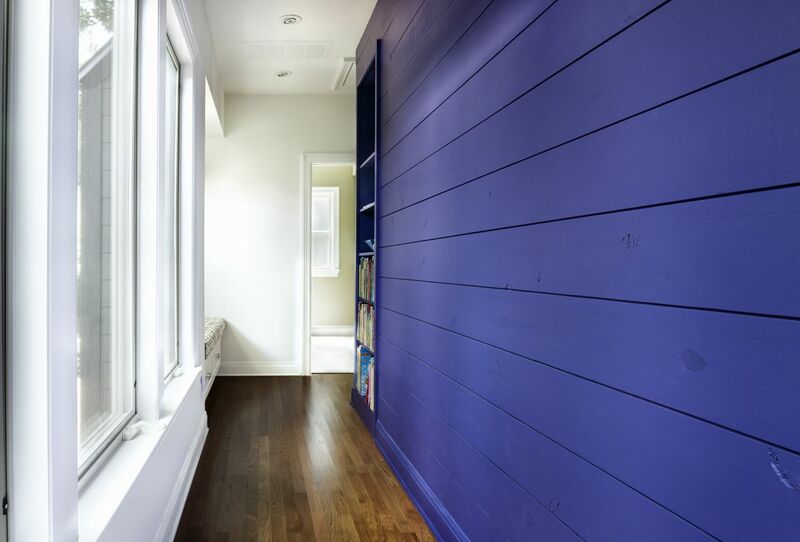 The kids’ wing at the end of a long hallway features spacious bedrooms and a shared bath, both with bright colors, fresh finishes, and plenty of natural light. 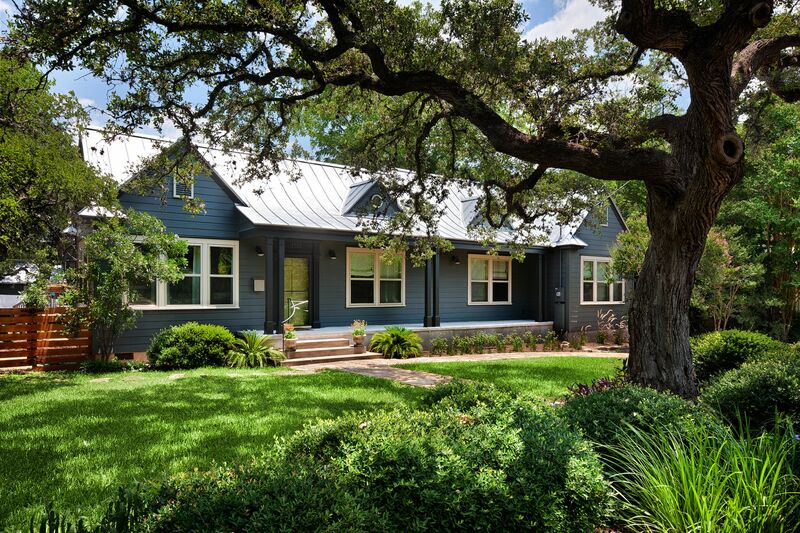 Though the exterior underwent a transformation, with a new rebuilt front porch, metal roof, rafters and more, we paid close mind to keeping the details true to the period of the original home. 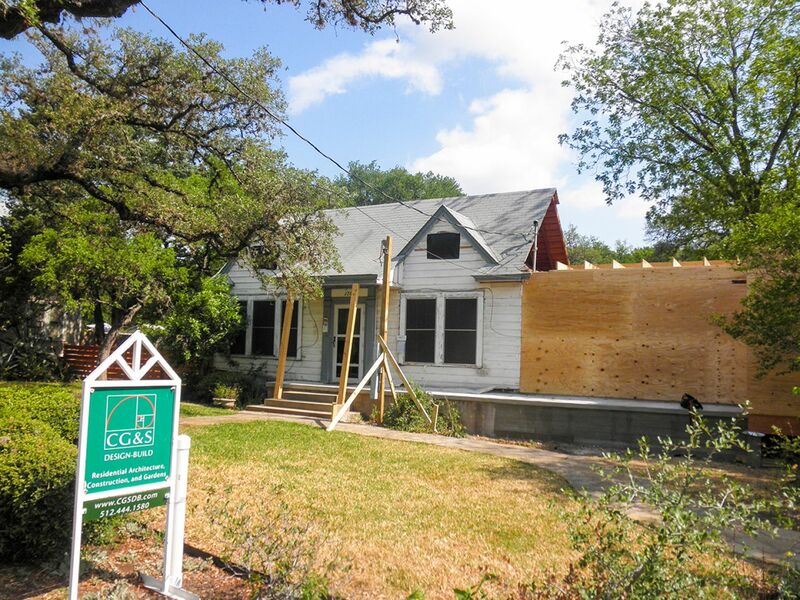 This house had plenty of character, but it lacked the space this family needed. An unused side porch was an eyesore, and the features and exterior were in need of some refreshing. 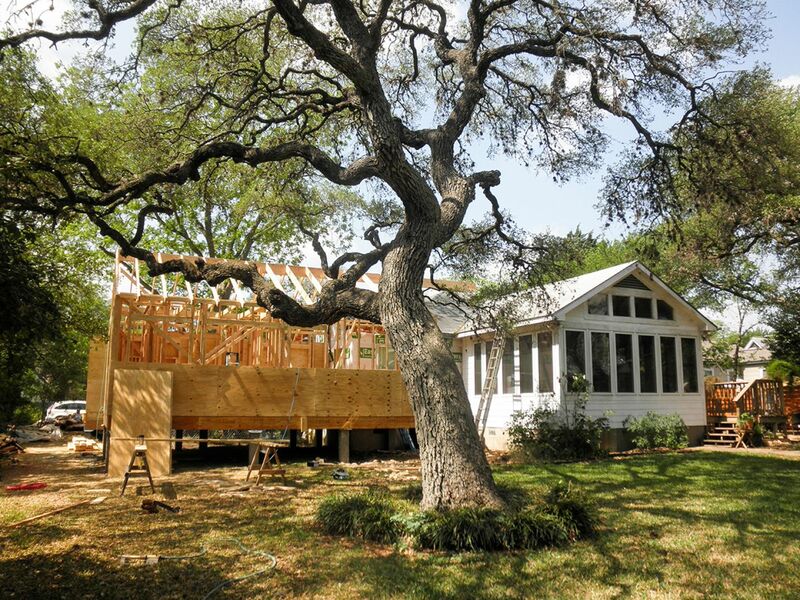 Working around the massive pecan tree in the side yard was the main challenge throughout the project. Designated a protected tree by city ordinance, a visit by the city arborist was required before the permit could be issued. Instead of pouring a slab for the addition, a minimum number of piers were carefully installed so as not to disturb the tree roots. This ensured that we preserved the historic tree while still giving the family exactly what they wanted. customized for a modern family, with two new wings that make room for parents and kids alike to enjoy.